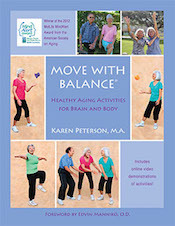 "Move With Balance®: Healthy Aging Activities for Brain and Body"
This brightly illustrated book, which links to 60 on-line demonstration videos, is loaded with dozens of movements and exercises that anyone can do, even the frailest elder. 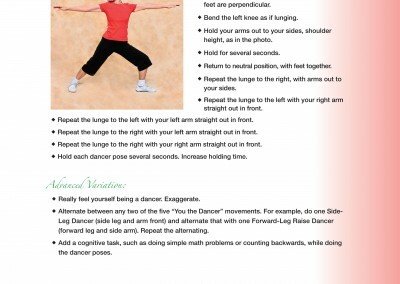 The payoff: increased coordination, sharper cognitive skills, better vision, and enhanced self-confidence. 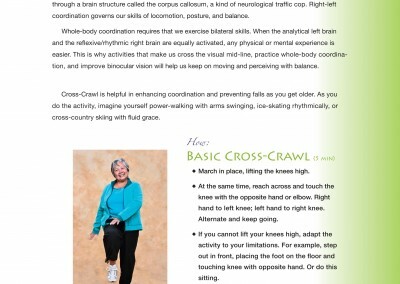 Our award-winning, evidence-based program is proven to reduce falls. 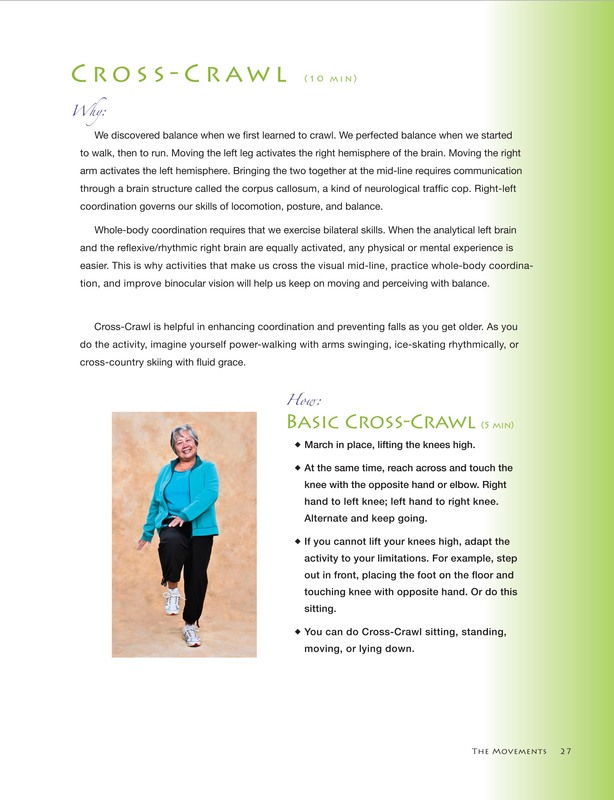 Move With Balance® is perfect for your needs, whether you are a group leader, a caregiver, or using the program for yourself. Click here to buy the book. Those who buy the book will also gain access to the 60 online videos. The why and how are clearly explained in the book. The online videos give the visual demonstration for guaranteed success. 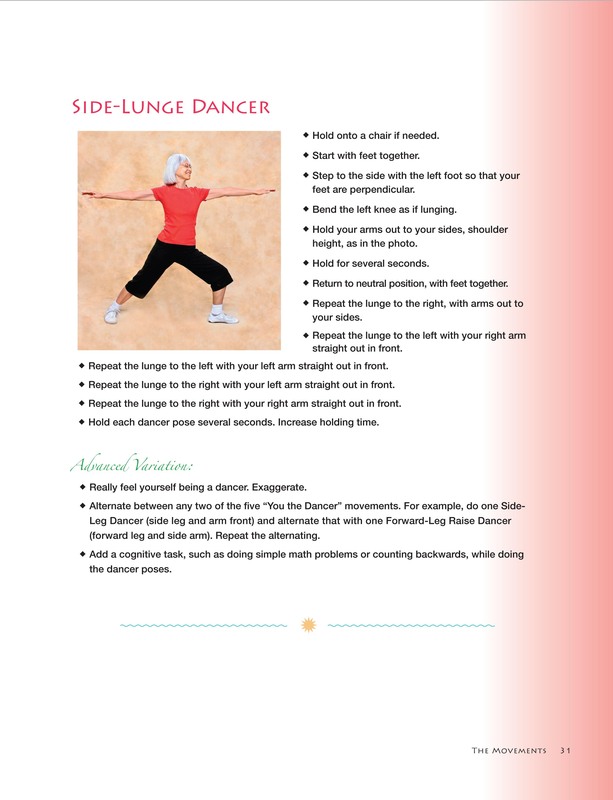 IN addition, there is an Addendum Manual in the Store which contains many, new, exciting activities and movements. For elders, preventing falls means preventing disaster! For elders, staying mentally alert and sharp is paramount! Here’s how—and how to bring confidence and joy into the aging years.